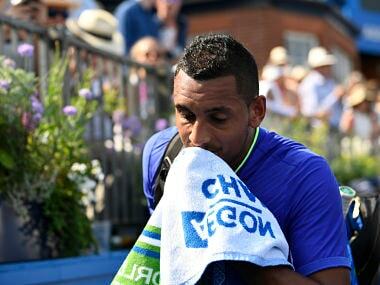 London: Nick Kyrgios insists he will play through the pain barrier to keep his Wimbledon dream alive after the Australian star was forced to retire from his Queen's Club first-round clash against Donald Young. Kyrgios needed lengthy treatment on his left hip after taking a nasty tumble behind the baseline while stretching to make a shot in the ninth game of the first set on Monday. 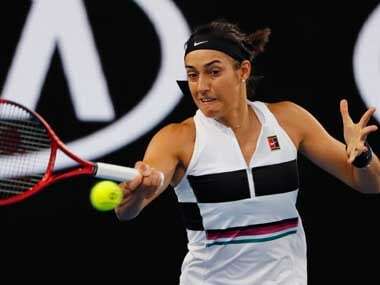 The World No 20 decided to keep playing, but he was clearly affected by the injury and, after Young won the first-set tie-break 7-3, Kyrgios trudged to the net to withdraw from the Wimbledon warm-up event. 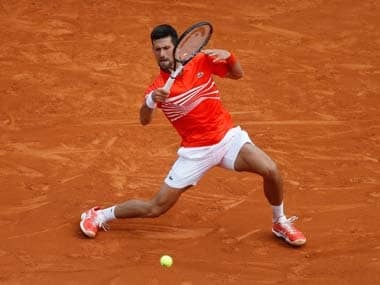 The 22-year-old admitted his fall on the slick court had aggravated the same hip injury that troubled him during his French Open second-round exit to Kevin Anderson. "I'd play Wimbledon if I was injured pretty bad, anyway. I'm here. I don't really have time to go home or anything. Yeah, I'll be playing, for sure," Kyrgios said. "Obviously my main goal is to play well at Wimbledon, so I'm going to try and get it better and rehab it and hopefully it settles down. I'm sure it will." Kyrgios was given anti-inflammatories when he came off court, but he is still waiting to see if a scan is necessary. "I felt a sharp pain, pretty much everything I was feeling a month ago. It's not great at the moment," he said. "I have been playing with a sore hip for a long time. "There are worse things in the world than a guy slipping playing tennis. I'm sure I'll live." Asked what he'd do while he waits for the pain to subside, Kyrgios joked he'd be "in the Dog and Fox", a pub near his house in Wimbledon. 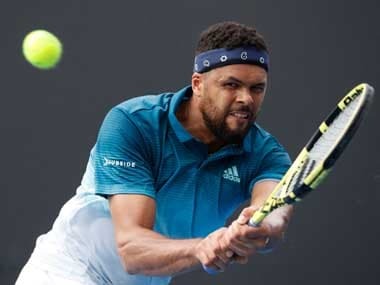 Jo-Wilfried Tsonga got back on track after his French Open nightmare as the World No 10 eased to a 6-2, 6-2 win over Adrian Mannarino. Tsonga's strong start to his grass-court campaign was the perfect way to erase the painful memory of an embarrassing first-round exit against unheralded Argentine Renzo Olivo on the clay at Roland Garros. "For me it was really important to have a victory. On clay it was difficult. I didn't play really well in Roland Garros," said Tsonga, who was runner-up at Queen's in 2011. "I had the good sense to have a grass court at my house, so I just practice and prepare this grass season, which is a good surface for me." Fifth seed Tsonga will play Gilles Muller or Nikoloz Basilashvili in the second round. Former Wimbledon finalist Tomas Berdych halted his slump with a 7-5, 6-3 victory over Belgium's Steve Darcis. Berdych, the World No 14, crashed out in the French Open second round to continue a disappointing year in which he has gone without a trophy and reached only one final. 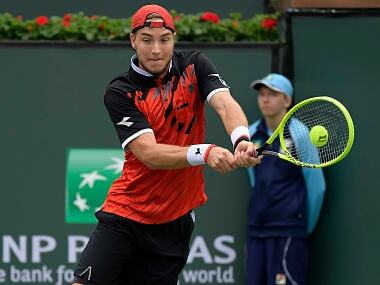 The Czech veteran takes on Britain's Kyle Edmund or Canadian qualifier Denis Shapovalov in the second round. Grigor Dimitrov, the Bulgarian World No 11, cruised into the second round with a 6-3, 6-1 win against Ryan Harrison of the United States. Dimitrov, the only player other than reigning champion Andy Murray to win the Queen's title in the last four years, faces French qualifier Julien Benneteau or British wild card James Ward in the last 16.